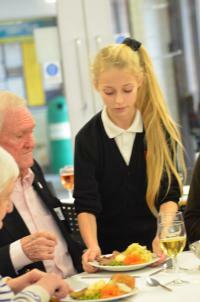 We are a Local Authority Secondary School and we admit pupils from age 11 to 18. 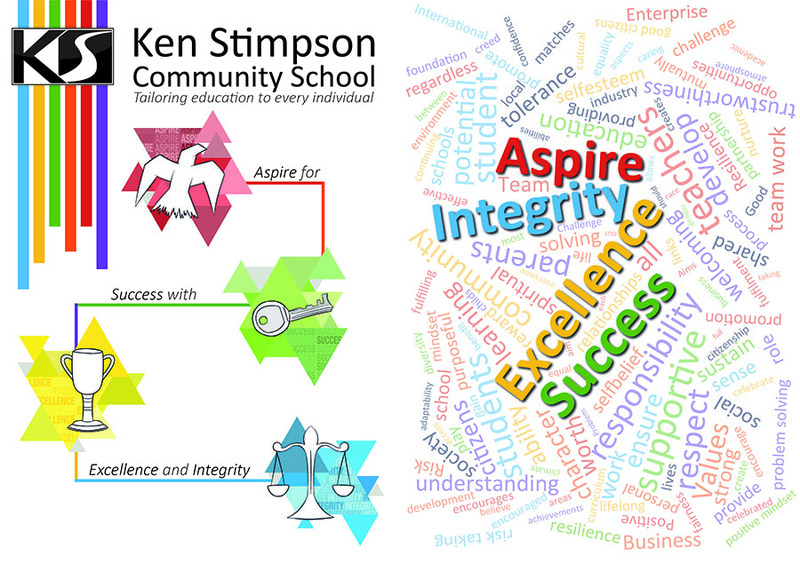 Ken Stimpson Community School also has a Nurture Group in Years 7 and 8 to support identified students through transition from primary to secondary school. We have a house system throughout the school and all students belong to one of our four houses. Due to the success of our nurture group in Years 7 and 8, we have further expanded our provision. Mrs Ward has been appointed to lead Year 9 nurtur. How does your school ensure that children who need extra help are identified early? Performing below age expected levels – how? regular monitoring of performance by teachers and middle leaders. Concerns raised by teacher. For example through our Early Identification form. Who will explain my child's needs and progress to me? Annual review meetings will be held with SENCO. Parents/carers will also receive a termly report to monitor progress. Parents/carers will have an opportunity to 1 x tutor consultation evening and 1 x subject evening. All teachers are teachers of SEN.
SENCO will provide teachers with personalised guidance for all students identified with SEN. Developed provision in our Learning Centre. The RISE is a place to support students and meet their needs using personalised strategies. The class teacher will oversee, plan and work with each student with special educational needs or disabilities in their class to ensure progress. There may be a Learning Support Assistant working with your child either individually or as part of a group. The school has three Nurture classes, which is a small class with a maximum of sixteen pupils who are supported by two qualified staff with an adapted curriculum. Students are identified during the transition phase. Students may not be ‘Secondary Ready’ NC Level 4b Maths / English. Students may also be identified to support and manage during the initial change of educational setting and learning environment. Students in the class will have additional support and an adapted curriculum. The SENCO reports to the Governors annually to inform them about the progress of students with special educational needs or disabilities. Bridget Holland (Governor) is responsible for special educational needs and meets regularly with the SENCO. The Governors agree priorities for spending within the special educational needs budget with the overall aim that all students receive the support they need in order to make progress. All teachers have student’s guidelines to support their planning and delivery of teaching and learning. Guidelines provide personalised differentiation for all students with SEN so they can access a lesson and learn at their level. We ensure that all students with special educational needs are provided for to the best of the school’s ability with the funds available. We have a team of teaching assistants and part of their responsibility is to deliver programmes designed to meet individual or groups of student's needs. Different students will require different levels of support in order to help them make progress and achieve their potential. 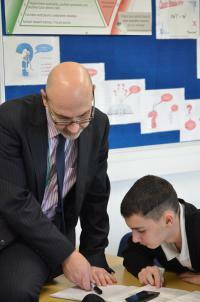 All students’ academic progress is reported termly and this is monitored by faculty and pastoral leaders. By reviewing student's targets on coordinated plans /EHC plans and ensuring they are being met. Parents will be involved in the review meeting and the setting of new targets if necessary. A copy of the targets will be given to the parent. The student is making progress academically against national/age expected levels, discussed at Progress Meetings, attended by Class Teachers, a member of the SEN team and the Senior Leadership Team. Student's may be taken off the Special Educational Needs register when they have made sufficient progress. The SEN register is reviewed every term. A student starting in Year 7 would be automatically placed on our register through transition. These students would remain on the SEN register for a minimum of two terms. We believe that your child’s education should be a partnership between parents and teachers. We therefore aim to communicate with you regularly. You will be able to discuss your child's progress at parent's evenings. You are also welcome to make an appointment at any time to meet with either a class teacher or SENCO. The class teacher (subject specific) or the SENCO (generic) can offer advice and practical ways that you can help your child at home. If your child has complex special educational needs or a disability they may have Special Educational Needs or an Education, Health Care Plan (EHCP), which means that a formal meeting will take place annually to review your child’s progress. If your child has a coordinated plan specific targets and outcomes will be set with key workers identified to achieve these goals. This means that a formal meeting will take place termly to review your child’s progress. Recommendations from external agencies e.g. Autism outreach worker, will be shared with you so that strategies can be implemented at home and school. If a class teacher needs to discuss an issue with you, it will be done privately and strategies to support your child will be offered. There is a homework club in school after school to support any pupils who have been unable to complete their home learning. 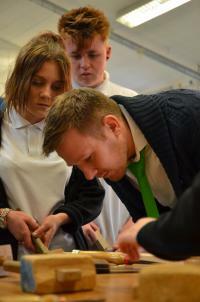 As a school we measure student progress in learning against national age related expectations. The class teacher continually assesses each student and notes areas where they are improving and where further support is needed. All students should have PLC’s (Personal Learning Checklists) to clearly identify gaps in knowledge and/or understanding. We track student progress from their admission throughout their school life, using a variety of different methods, with some standardised tests (CATS) and examination courses (GCSE/AS/A2/Btec Level2/3). 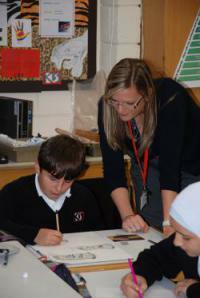 Student's who are not making expected progress are identified through the termly Progress Meetings. In this meeting a discussion takes place about those pupils experiencing difficulties and what further support can be given to aid their progress. Meetings with parents/carers and students through annual review and IEP plans. We also work closely with any external agencies that we feel are relevant to individual student's needs within our school. These may include: GP, School Nurse, Clinical Psychologist, Paediatrician, Speech & Language Therapist, Occupational Therapist, Educational Psychologist, the Behaviour Support Service, the Child and Adolescent Mental Health Service (CAMHS) and Social Services, including Cheviots Children’s Disability Service, and Social Workers. 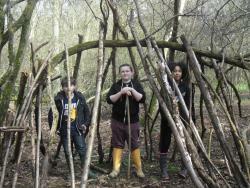 We aim for all children to be included on school day trips and residential stays. We will provide the necessary adaptations, having consulted with you, to ensure that this is successful. A risk assessment is carried out prior to any off-site activity to ensure everyone’s health & safety will not be compromised. In the unlikely event that it is considered unsafe for a child to take part in an activity, then alternative activities, which will cover the same curriculum areas will be provided in school. All of our teaching assistants have had training in relevant areas of SEN, such as Dyslexia, ASD,ADHD. All of our teaching assistants have had training in Child Protection. All of our teaching assistants have had training in Asthma and Epilepsy, Epipen administration. You can view our pastoral care policy here. You can view our behaviour policy here. You can view our attendance policy here. 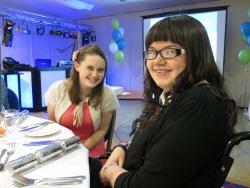 We have made every effort to make our site accessible to students and staff of all abilities. Students are able to access the upper levels via lifts if required and support is available to ensure movement around the building is as unrestricted as possible. You can view our admission policy here. The first point of contact would be your child’s form teacher to share your concerns. You could also arrange to meet with the SENCO. Special Educational Needs policy link here. Contact Mrs Gwilliam (Senior Receptionist), to arrange a meeting and tour of the school. If your child has a special educational need or a disability you could contact the SENCO who will discuss how the school could meet your child’s needs.